Using the search bar at the top of the page, search for a key word. On the search results page, click the Knowledge Base article name you would like to view. This error message is a result of an issue in SalesForce. SalesForce is currently working to correct the issue. 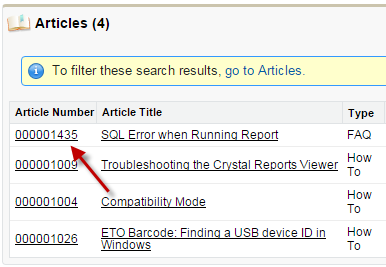 To work around this error, you will need to click the Article Number rather than the Article Name. This will take you to the correct page.